I love the look of a freshly mulched bed. And in spring, it doesn't get any better than that tidy, dark sea of mulch around all of the fresh, green growth in my garden. Perfection! It will only be better when I have the entirety of my mulch pile distributed on every bed in my garden, so I'd better get schlepping. As always, thanks to Anna at Flutter and Hum for hosting Wednesday Vignettes each week. 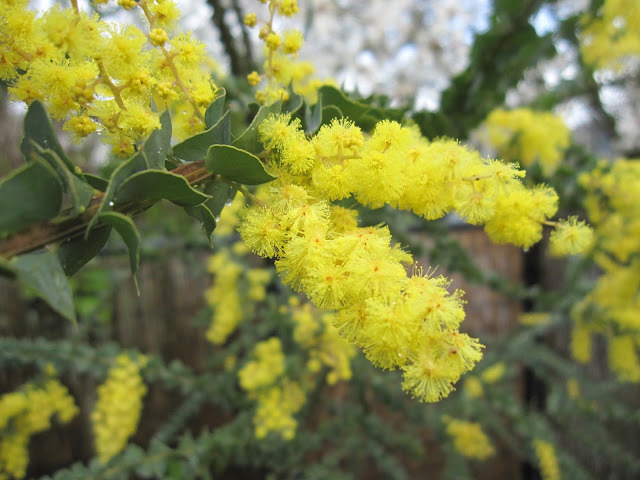 Acacia pravissima is blooming in tiny, brilliant yellow puffs. It lights up one whole corner of the garden, and looks great backed by a neighboring magnolia in bloom. 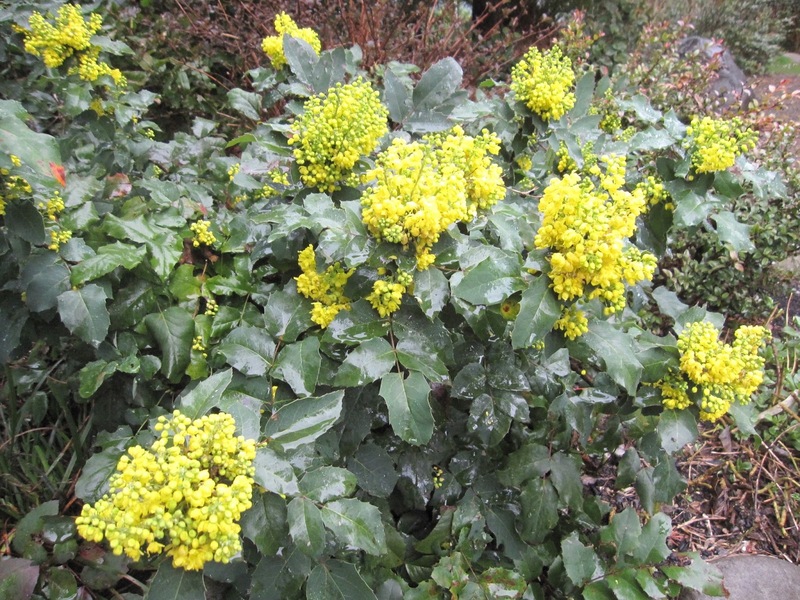 The Mahonia are having a banner year. 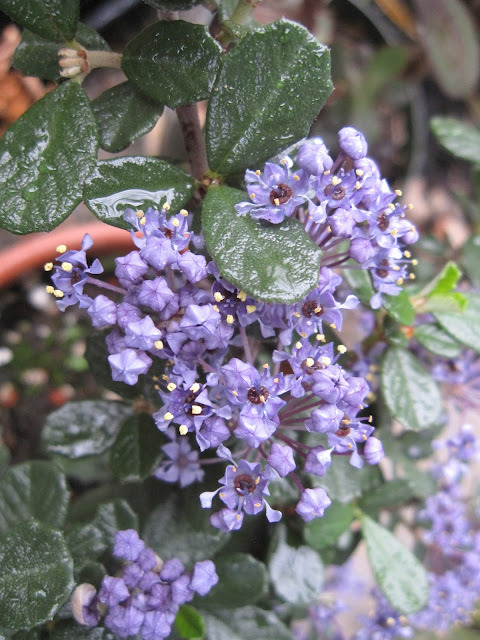 This is Mahonia repens. And here is Mahonia aquifolium with Ribes sanguineum in the foreground. 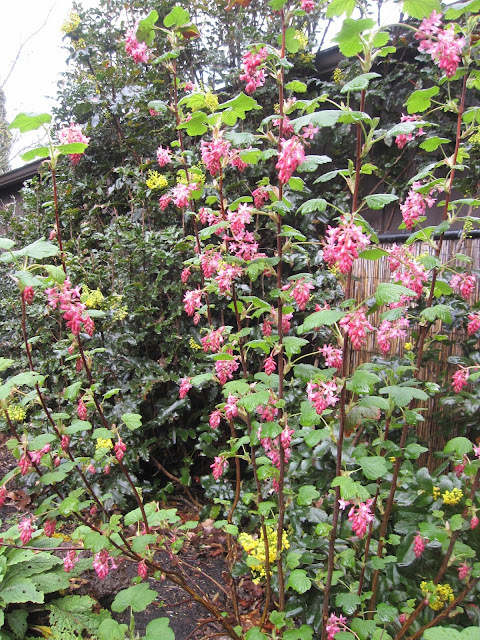 A little bit closer, so you can see the drooping pink flower trusses of the Ribes better. Camellia 'April Kiss' continues its contribution of pink from last month. 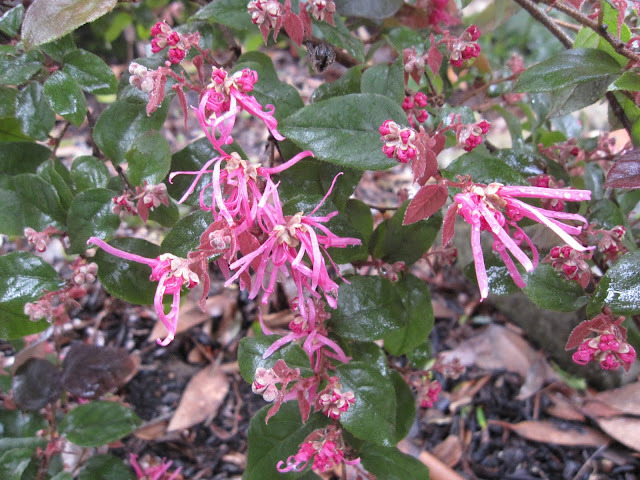 Loropetalum chinense var. rubrum 'Sizzling Pink'. 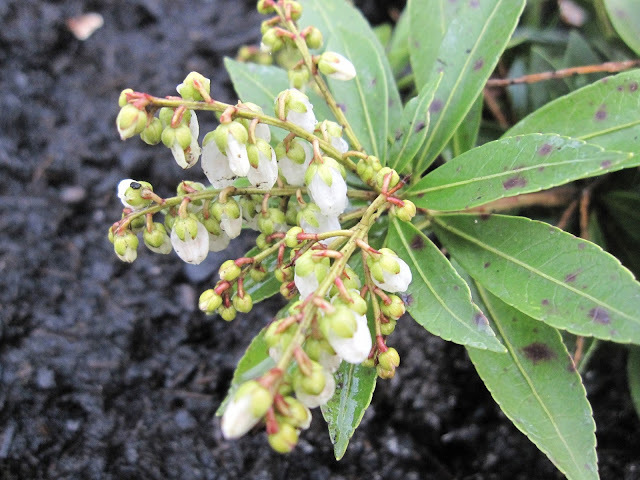 And, new last fall, L. chinense var. rubrum 'Fire Dance' is practically magenta. 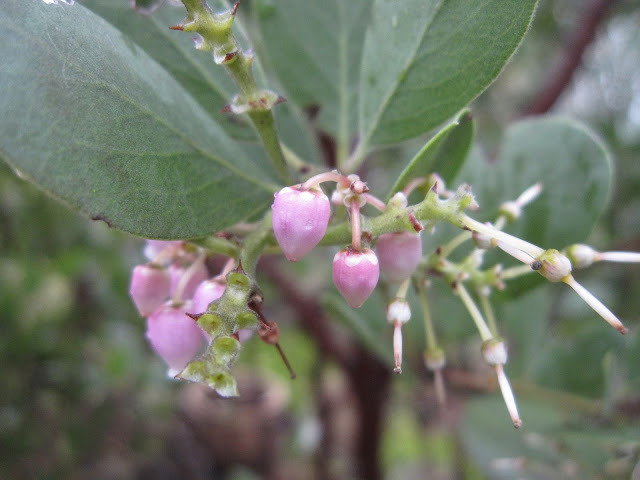 The big feed is over, but a few flowers remain on Arctostaphylos 'Austin Griffiths' to tantalize the visiting hummers. 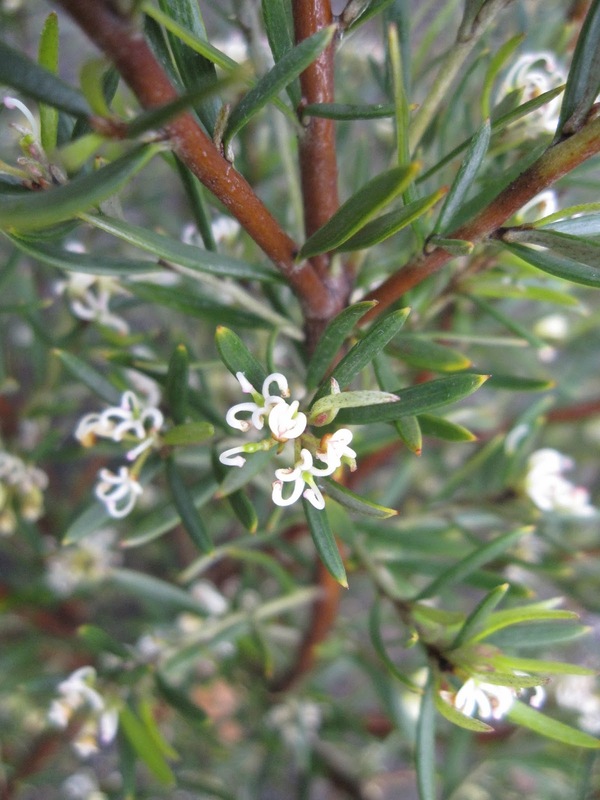 Minute curly white flowers have appeared on Grevillea australis. 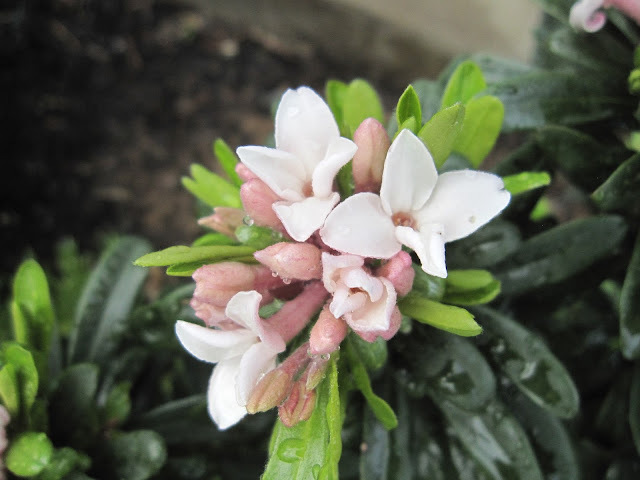 Daphne transatlantica 'Eternal Fragrance' has been such a performer all winter. It shows no sign of stopping. 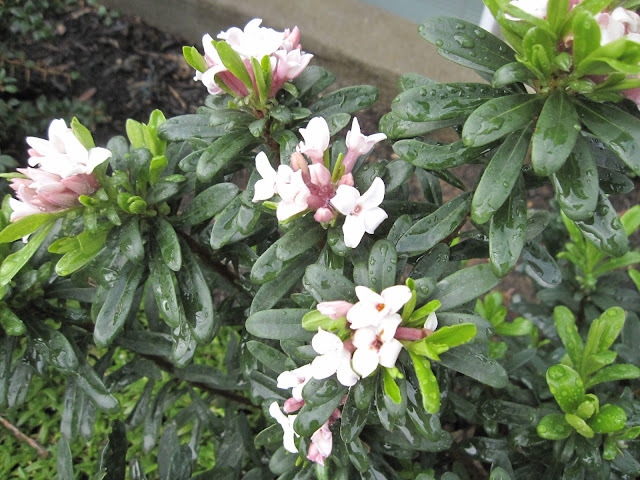 Their foliage is looking a little the worse for wear, but the flowers on several dwarf Pieris japonica 'Prelude' are a delight. 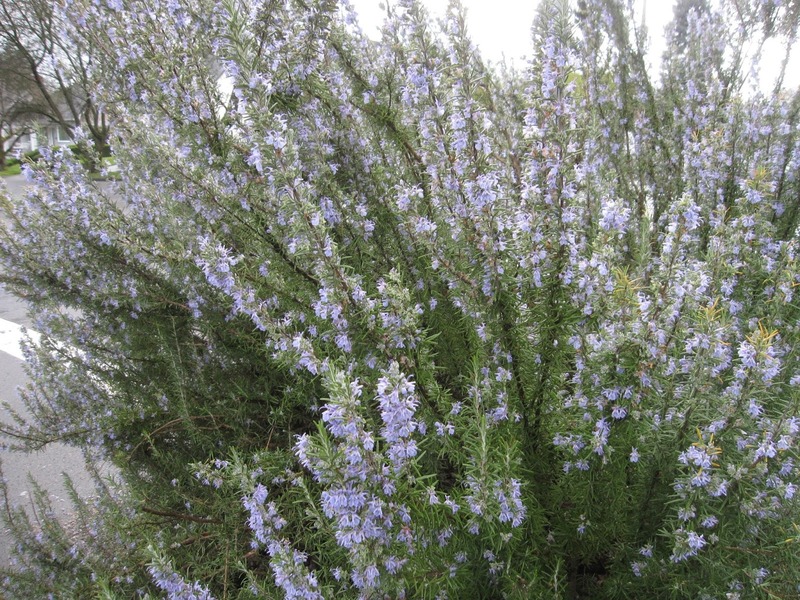 A common Rosemary is covered in blue flowers. 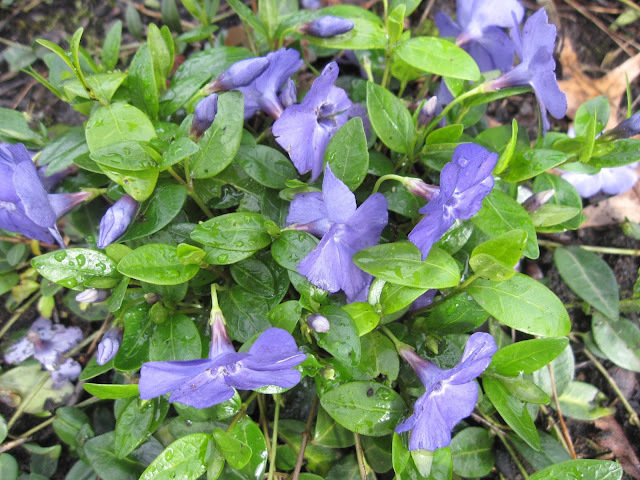 And Vinca minor is loving all our rain. Ceanothus maritimus 'Valley Violet' is still in a pot. It came home with us in early February from the Santa Barbara Botanical Garden, so I hope it can adapt to the winter wet of Portland. 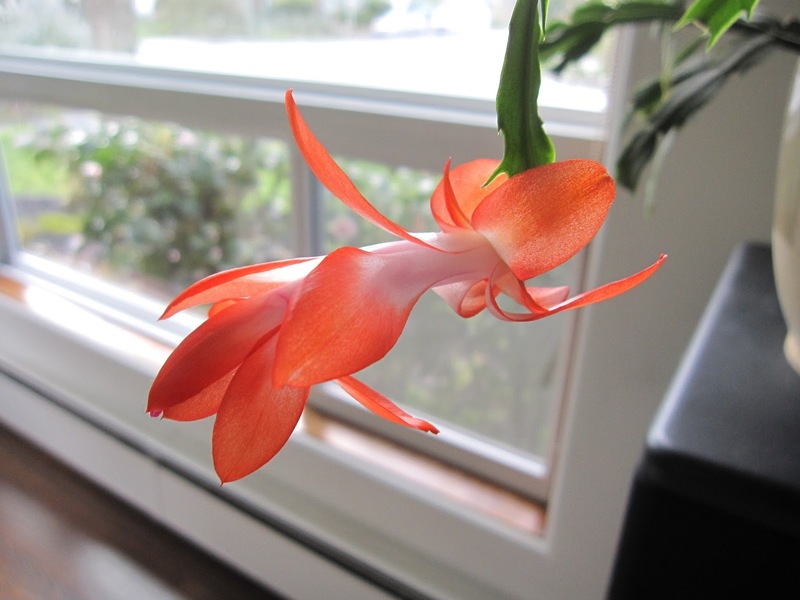 But indoors, it's orange this month! 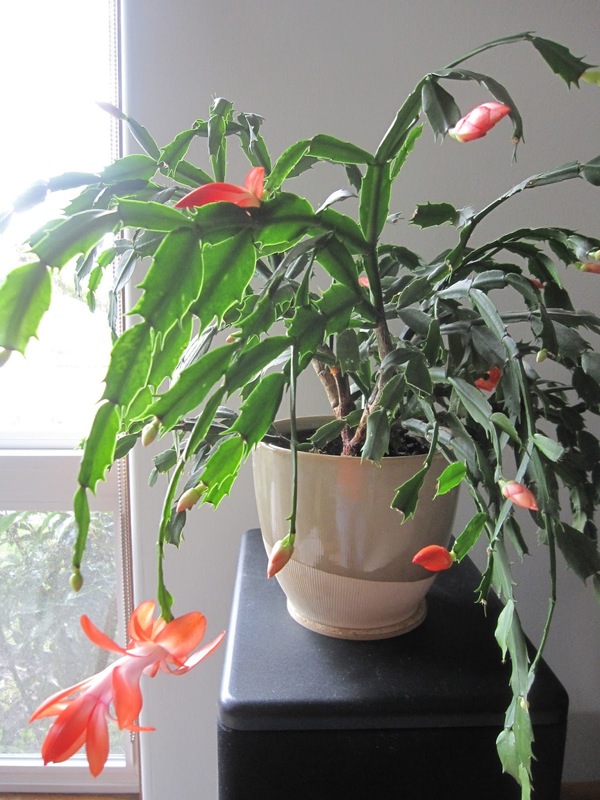 This Schlumbergera surprises us with blooms at odd times. 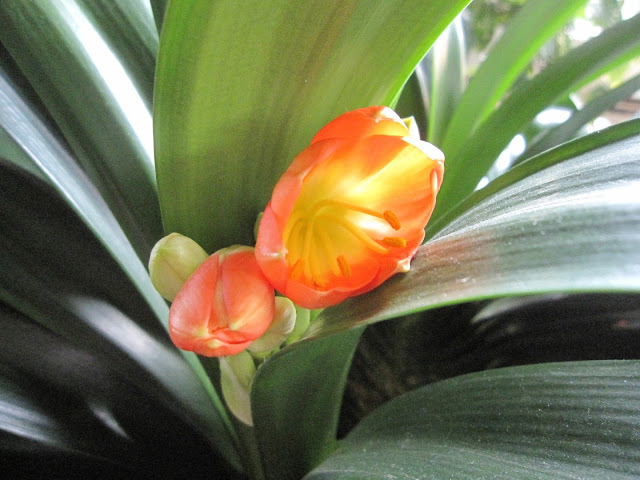 Clivia miniata is forcing a bloom out from between its leaves. I recently read that they should be kept drier after December to encourage the bloom stalk to extend upward before the flowers open. I'll try that next year. Bloom Day is hosted faithfully on the 15th of each month by Carol at May Dreams Gardens, where she happily shares what's blooming with the world.